on November 11, 2012. 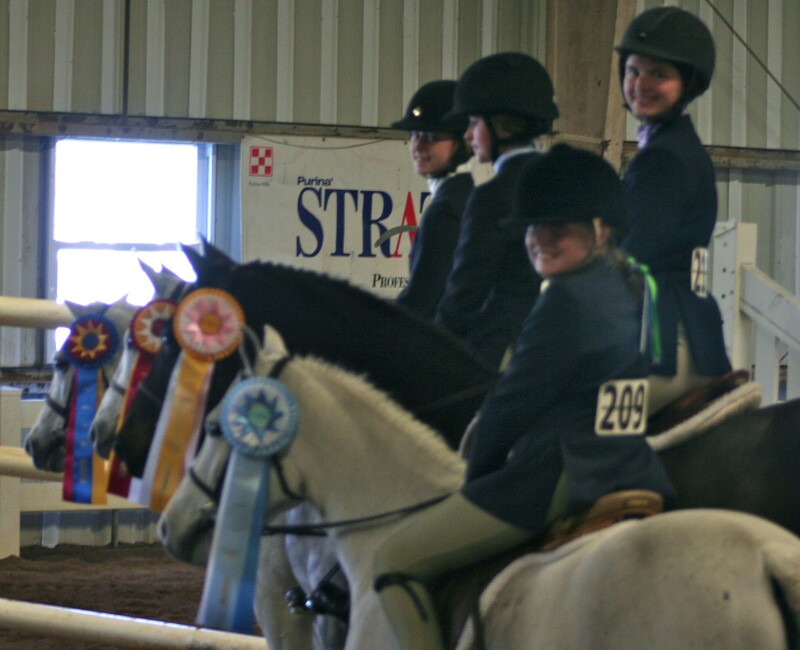 The regional horse organization, sponsors a competition each November to select the top equitation riders in three divisions: adult amateurs, children’s (for junior riders 17 years and under on horses), and junior riders on ponies. The pony competitors may ride ponies in three different sizes: small ponies up to 12.2 may be ridden by riders twelve years and younger; medium ponies, up to 13.2, may be ridden by riders 14 years and younger; and large ponies, over 13.2 and no larger than 14.2, may be ridden by any junior rider who has not reached their 18th birthday prior to December first of 2011. 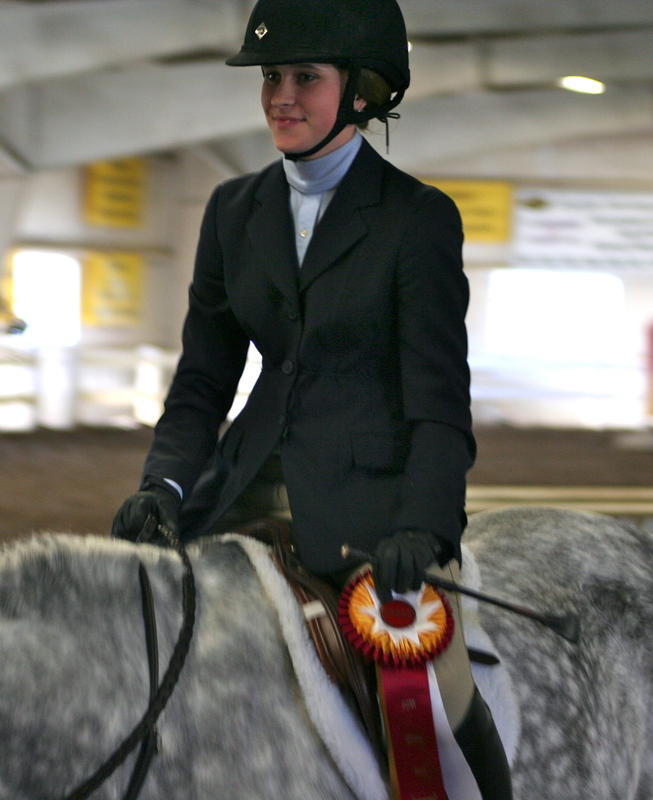 Riders, who are members of ETHJA, compete throughout the year in a series of qualifying classes throughout the region. 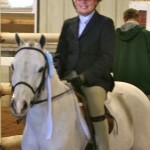 The top ranked 15 riders are then qualified to compete at the November competition, this year held at the Virginia Intermont Riding Center in Bristol, VA. V.I. is a liberal arts college that also specializes in, and grants degrees in, equine studies. The medal finals offer an opportunity for the equine studies students to judge a warm-up equitation round the morning of, but prior to, the finals. The students competition also gives the students the opportunity to practice course design, and several elements of show management. The competition is judged on equitation. 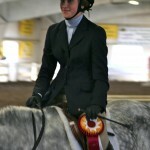 As such it is judged on the rider’s ability to control their animal with an effective, efficient and quiet riding position. The efficiency, efficacy as well as the accuracy of the individual ride is scored and carefully considered by the judge. 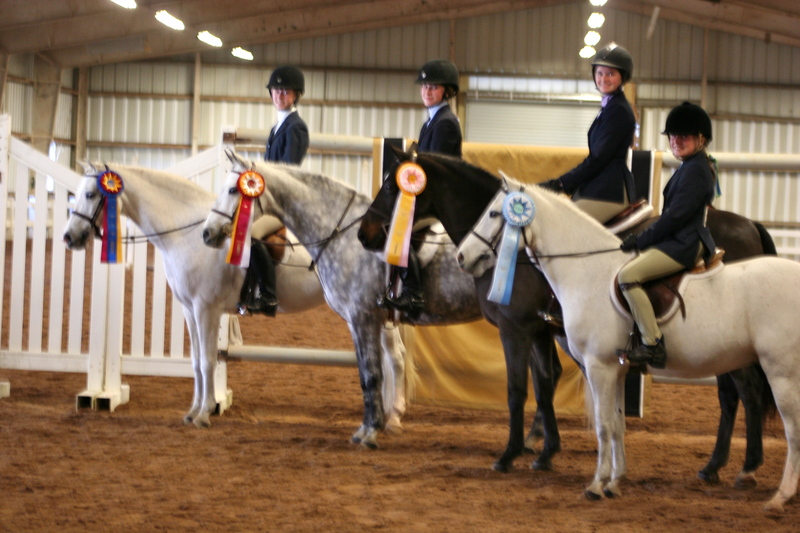 Fiesta Farm qualified four riders for the competition. All four riders placed in the top 10. 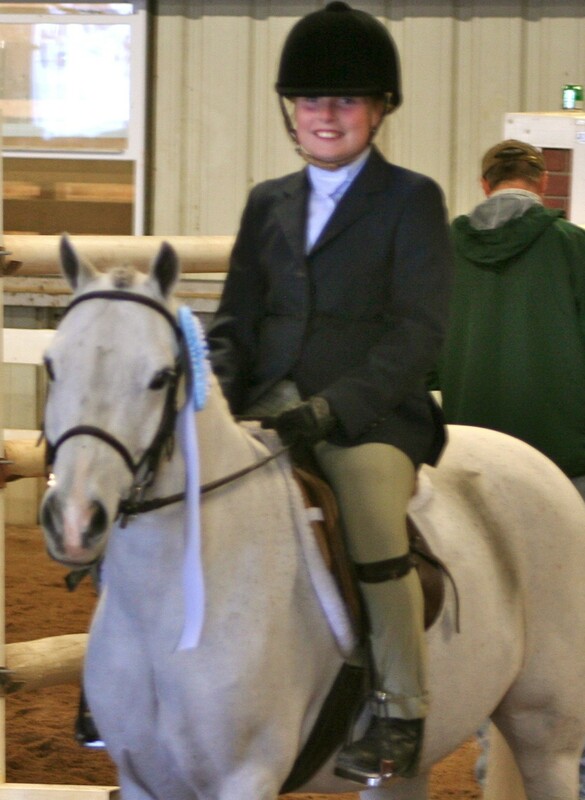 The youngest rider, G. Roberts, on a small pony owned by Carolina Country Acres and Alicia Wilkenson of Charlotte NC, placed 10th. The remaining riders placed first, second and third. The winner, C. Anderson rode her medium pony King Me to the win. 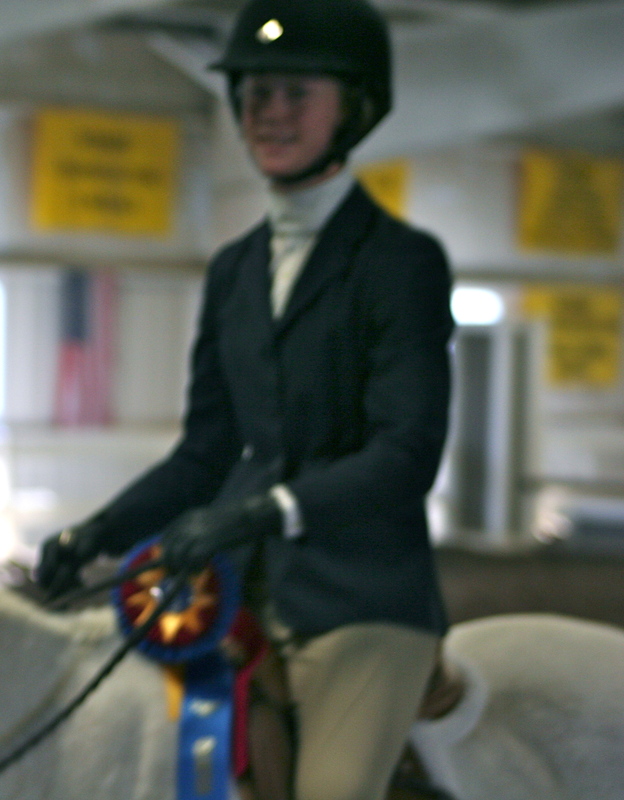 The competition included a difficult initial course of nine fences in the tight Virginia Intermont college’s indoor riding arena. The course, designed by a V. I. riding professor, was challenging but gave the riders the opportunity to showcase their riding skills. After all riders competed over fences individually, they were called back and competed “on the flat”, with no jumps, as a collective group. The judge for the competition was Genie Smith from Landrum, SC. 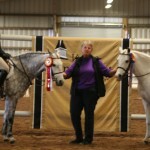 She is a United States Equestrian Federation recorded judge. During the flat phase, she had the riders perform sitting trot, a lengthening of stride at the trot, and a halt, in addition to the normal requirement of walk, trot and canter in both directions. Following the flat phase, Ms. Smith asked the top four riders to remain in the ring for a further test of their abilities over a shortened course she specifically designed to test the riders ability to handle the pressure of riding without the benefit of their coaches or seeing their new course. The new course included a jump to be jumped at the trot between two jumps ridden at the canter. The test course also included a “hand gallop” as well as a halt and a sitting trot (not posting) into the line-up of waiting riders. The riders where given the verbal instructions as a group and then performed individually in reverse order of preference. 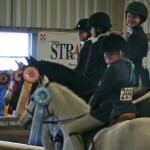 Following the test of the top four riders, the remainder of the class returned to the ring and ribbons were awarded in reverse order with L. Armstrong on the large pony The Bluh Mounty placing third, C. Donnell on her own pony Stonewall Stratus was awarded the 2012 reserve pony medal championship, and Miss Anderson was crowned the champion. 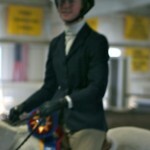 Congratulations to all of the riders who worked hard all year to be able to participate in this special “finals” class. 10th place at her first regional competition. Qualified and placed as a nine year old.